Actress Grace Kelly was swept away when the handsome Price Rainier, a man she barely knew, asked for her hand in marriage. If she married Rainier, she would be more than just a movie star, she would be Her Serene Royal Highness Princess Grace. Once in the palace, however, Grace found herself trapped in a fairy tale of her own making. Grace and Rainier may have been royalty, but they were also husband and wife, and parents, and, as such, just as vulnerable to the conflicts that can contaminate any household. 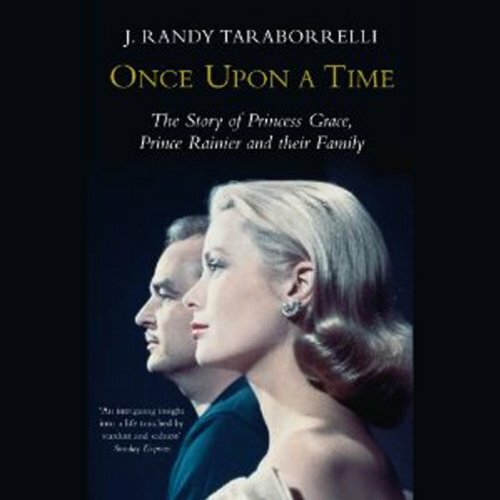 Drawing upon hundreds of exclusive interviews with family and friends, Once Upon a Time portrays its subjects with passion and sympathy, revealing Grace, Rainier, Caroline, Albert, and Stephanie in ways both startling and compelling. ©2003 Rose Books (P)2003 Time Warner AudioBooks. a division on the AOL Time Warner Book Group.